A Highland road engineer has questioned the “flawed” proposal for a speed limit reduction on the A87, and the information it has been based on. 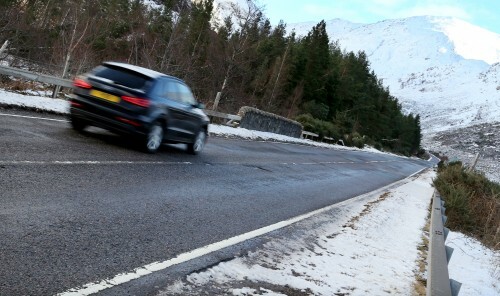 Transport Scotland have proposed that the speed limit on a 12-mile stretch of road on the A87, from Cluanie Inn to Kintail Lodge Hotel, be reduced from 60mph to 50mph. 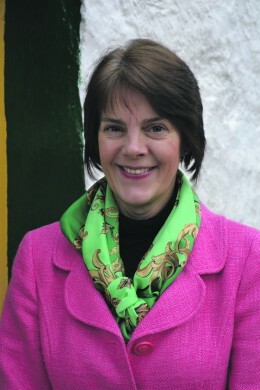 A critique of the proposals has now been prepared by consultant engineer Colin Mackenzie from Helmsdale, who has 30 years’ experience of designing roads in the Highlands, including the A87 on Skye, is a former roads and transport and trunk road manager for Sutherland, and now works in the private sector. He told the Free Press: “In my assessment the whole process may be flawed. They should be looking for other ways to reduce accidents — a speed limit is a last resort — and it’s not clear that Transport Scotland have gone through that process. The Transport Scotland review document admits that following the imposition of a reduced limit it is ‘unlikely that there will be a significant change in either accident rates or mean speeds’. In his report Mr Mackenzie states: “The A87 through Glen Shiel is a key Highland road serving fragile rural communities in Skye, Lochalsh and the Western Isles. This is a road that might be considered by many as ‘good’, having been built to the modern standards of the day some 50 years ago. There is little or no frontage access, generally good visibility and light traffic of 2,000 vehicles per day. The 2008-10 accident rate was above the speed limit review threshold, but is a blanket 50mph limit the best way forward? While the 2008-10 accident rate is 55 accidents per 100 million vehicle kilometres, Mr Mackenzie notes that if the 2011-13 Crashmap records are used the rate falls to about 21 accidents per 100 million vehicle km, which would justify keeping the present 60mph limit. The critique also questions the measurement of mean speed – found to be 49.8mph in the review – and whether “a singular spot mean speed can sensibly be applied to a 19km section of road that includes long straights and tight bends”. 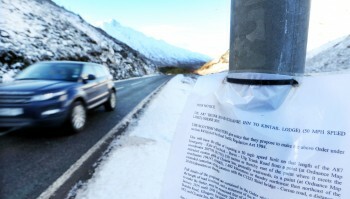 The speed limit review states that alternative options should always be considered before a new speed limit is introduced, but Mr Mackenzie said it was unclear what other options had been considered for the Glen Shiel road. Mr Mackenzie commented: “Arising from the review, motorists from Skye and Lochalsh will be subject to no less than 63km (40 miles) of new 50mph restrictions on their journey to Glasgow, nearly a quarter of the total length. Another former road engineer, John Hutchison of Lochaber, also called the plans “illogical”. Originally set to close on Thursday 26th February, the consultation has been extended to Thursday 5th March, a Transport Scotland spokesperson confirmed this week.